* Must be Pre-Paid before June 1 2019. Ball Machine also available for 30 minute rental for $15. No package available. It’s the most cost effective way of using the machine. You will also get priority booking for the ball machine use. Individual hourly rentals are $25. What is the Ball Machine availability? Pending the availability of the coach, the ball machine can be used as early as 7:30AM until 6:00PM on weekdays, and 12:00PM onwards on weekends. Can I rent out the ball machine with a friend(s)? You can rent out the ball with one or more additional players on court for an extra $10 per player. What is the optimal way for someone to improve his/her game? Ideally, you should book 2-3 lessons a week. In addition, it is recommended to rent the ball machine an additional 1-2x a week to solidify what you have learned during the lessons. 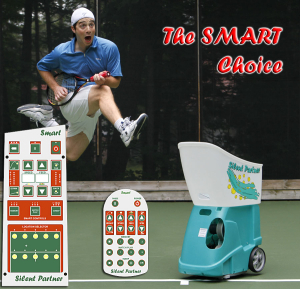 What are the benefits of combining a Ball Machine with a Lesson? Sean can give you more hands-on-feedback. While the ball machine feeds balls to the client, Sean can concentrate and have a more detailed look at the client’s performance. As well, since the ball machine is doing the feeding, Sean can actively participate in the drill or show you a demonstration of what he is looking for technically. AHHHH! I have never used a ball machine. Please help! ” Sean or one of the attendants will assist you in the use of the machine. Sean will stay with you for the first 20 minutes of the first lesson and demonstrate the machine. 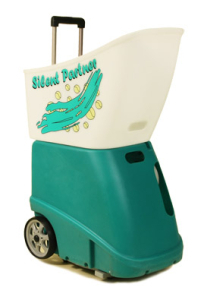 The beauty of this machine is that it is very sophisticated, yet very simple to use. Please look at the following document for answers.